Increased Utility. Improved Performance. More Power. No matter what the mission scenario, every pilot could use more power. Whether it’s for increased payload or improved margin of safety, additional power has always been a pilot’s friend. MD Helicopters offers an FAA-approved factory-direct recertification program that will transform your MD 500E into a type-certified MD 530F with zero-time engine for a fraction of the cost of a new helicopter. Realizing the hot and high performance benefits of an MD 530F has never been easier to achieve. Available exclusively through MD Helicopters’ Mesa, Arizona facility, the E-to-F conversion upgrade allows MD 500E operators to have their existing helicopter factory-recertified as a type certified (369FF) MD 530F. Over a period of weeks, the MD Helicopters factory MRO facility will perform airframe modifications to the latest standards, install a Rolls-Royce 250-C30HU engine and complete all scheduled airframe inspections. The increased performance and payload of the MD 530F will immediately expand mission capabilities. 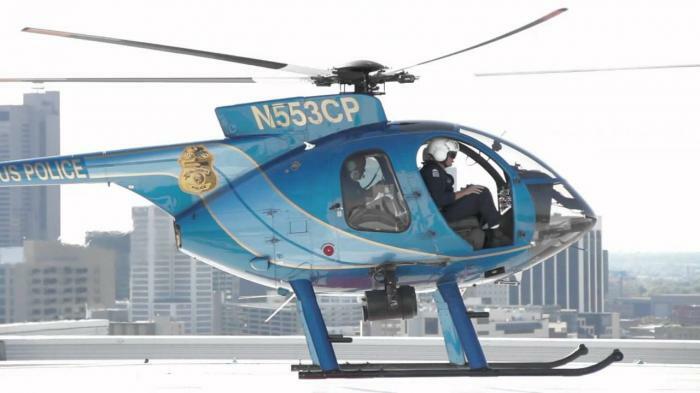 All 500E models originally certified as commercial helicopters are candidates for conversion to new MD 530F models. Aircraft previously certified for military or non-commercial operation may also be eligible. An MD Aftermarket and Customer Support professional can help make this determination. The E-to-F conversion process follows a strict, FAA-approved 20-step process that begins with a visual inspection, logbook review, and comprehensive assessment of all installed optional equipment. Over the next 8-10 weeks the E model is disassembled and all airframe modifications, component installation, inspection, testing and certifications occur. In the end, the aircraft is ready to begin life as an FAA-approved, factory-certified 530F model with a zero-time motor.